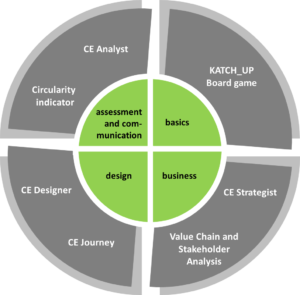 Seven KATCH_e tools, that support the practical implementation of the knowledge acquired with the modules. 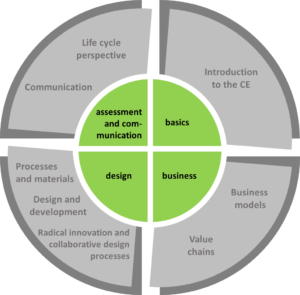 They are the main element for the implementation of the knowledge and building up skills in companies. The complete modules and tools will be shortly published in the Knowledge Platform.